Most universities in Nigeria have entrepreneurship centres or departments. These were established by the government to create entrepreneurs out of university graduates and boost job creation. The policy is meant to encourage and stimulate entrepreneurial behaviours among students in various universities. These centres organise and coordinate classes on entrepreneurship studies and skill acquisition, after which students are assessed. There are other methods like the organising of seminars and workshops for students, but these are hardly done. The entrepreneurship development programmes in these universities are implemented like any other academic programme in the university curriculum which many stakeholders have complained is not effective. Students pass through the entrepreneurship programme by merely taking theoretical classes on entrepreneurship and learning skills, then writing exams and the training is done. The push for more entrepreneurial youths goes beyond taking a mandatory entrepreneurship course that is often boring and taught by inexperienced lecturers. The programmes are more scholarly and theoretical than entrepreneurial and practical, and students’ assessments are based on written tests. 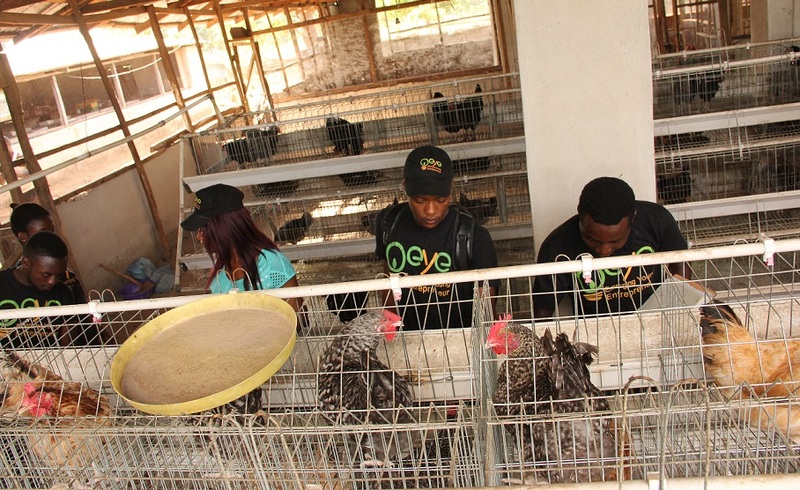 These programmes and centres don’t give students any entrepreneurial business exposure or experience, neither does it take advantage of the collaborative opportunities in science and technology research available in universities; Students need room to experiment and gain practical experience in the area. Another downside of entrepreneurship programmes in Nigerian universities is that it was designed by academics and administrators, and it’s being managed by academics. Generally, these academics and administrators themselves may not be entrepreneurially inclined or lack any entrepreneurial experience to enrich the programmes or impact the students. The current entrepreneurship development programmes as implemented by most Nigerian universities cannot give the country the required quality and quantity of entrepreneurs that are needed to drive job creation. It doesn’t provide hands-on business training or experience for students who are expected to start up businesses after schooling and though there are a good number of students in Nigerian universities who engage in entrepreneurial activities, the entrepreneurship centres in these universities do not provide any form of support for student entrepreneurs — frequently perceived as unserious, especially by their lecturers. One way these challenges can be addressed is for universities to initiate the establishment of Entrepreneurship Clubs on campus. Entrepreneurship Clubs come in different shapes: From student-run to curriculum based, from business-minded to creatively focused, every college entrepreneurship venture takes a distinctive approach. Some colleges have fully formed centres, some have certificate programmes, and some are simply actively meeting clubs. No matter what methods are adopted, the programme of the clubs must be backed up by active initiatives where students can practice their business and entrepreneurial skills. The idea is to create a platform for experiential entrepreneurial learning not just about finance or business, but where students are actually trying out their ideas and starting up businesses while in school. The clubs must be student-led and fully void of the school’s academic curriculum to be able to effectively supplement the centres which are heavily based on a general curriculum. The centre’s administration will serve as facilitators and advisors, allowing students to freely explore their potentials. The major activity in the club will essentially be starting or growing businesses – getting hands-on experience. Students must be encouraged to start at school, to find a product or service around the school that is not being offered, and provide it. This is how entrepreneurs are made, not in classrooms. The clubs will provide access to resources, otherwise hard to find like organising discussions where seasoned entrepreneurs teach students skills that entrepreneurs need to become successful and ways to develop and refine business ideas (recognising the difference between ideas and opportunities). The clubs must help students cultivate a start-up business idea, teach them basic strategies like estimating costs and writing business plans, developing business models, and helping participants network their ideas toward sourcing of funds. The club will assist students in building, launching, and sustaining successful companies. As part of the programme, the universities at the end of every year will organise events where student entrepreneurs are given opportunities to pitch their start-ups and prototypes to investors for funding.